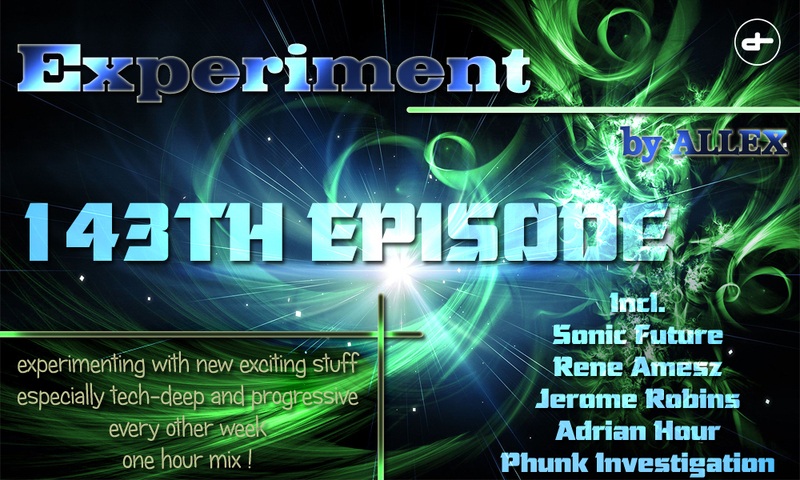 Hello and welcome to another episode of your fortnightly podcast called Experiment! Your host Allex prepared, as he usually does, new fresh one hour mix of proper house music, especially deep-tech-progressive. You can expect names such as Sonic Future, Rene Amesz, Phunk Investigation, Adrian Hour, Jerome Robins and much more! So sit back, listen and enjoy!